Did you know that individual railroads generally do not own their autoracks? Actually, all autoracks are owned by TTX Company, which in turn is owned by various railroads across North America. Prior to 1991, TTX Company was known as Trailer Train. 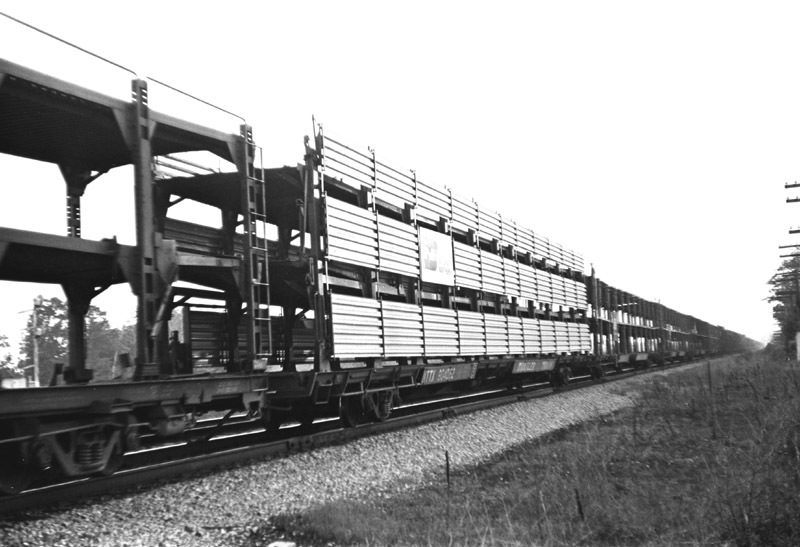 These open autorack designs proved costly for the railroads and shippers because the transported cars were easy targets for vandals both trackside and on overpasses. The cars were also subject to trackside debris damaging them. During the later 1960s and early 1970s, manufacturers began applying protective panels to the sides of the cars. Of course, the autoracks were still unprotected on the top and side, though only partially protected on the sides. During the later 1970s, totally enclosed autoracks were introduced, greatly improving the security of the transported cars.